Using Crutches: How do you use crutches properly? Crutches may be necessary if you have an injury on your leg or foot. 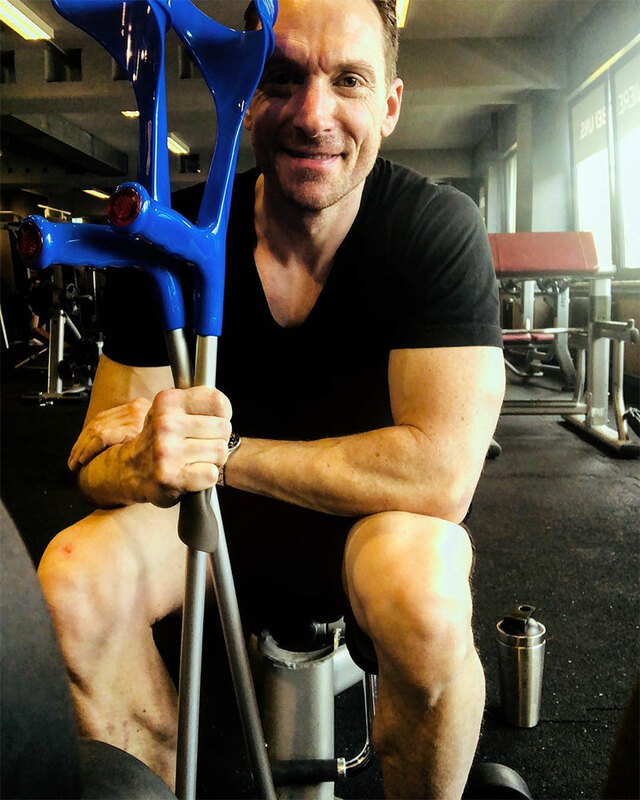 The doctor may advise you to use crutches if there is a reduced strength in one of your legs, or if you have joint problems or have undergone a surgical procedure. Despite these problems, you can do all of your work independently by using crutches. Do not focus on your injury; focus on your life; it goes on and on. The more you try to live your life as it used to be, the better you feel, the better the healing process will be! Promise! All of us may think that using crutches is easy because when we see someone using them, it looks very easy. But, the fact is that only if we learn how to use crutches can use them comfortably or without falling down. Therefore, if there is a necessity, you should practice using crutches and learn the knack. You should bear in mind the following few points while walking with crutches. While using crutches, you should make it a point to focus only on the direction towards which you intend to move. But, if you keep looking at how you move your feet, there are chances of tumbling down. If loose items like rugs, cords, etc. are there in your way, you may trip or fall. So, you should ensure that all of these have been removed from your path. Likewise, children and pets may suddenly get into your path. The problem is that they are unpredictable. So, while walking with crutches, it is better to go slowly. This will help you to balance yourself if your pet or a child gets into your way suddenly. If dust gets accumulated on the crutch cushions at the base, you may slip and fall down. Therefore, you should clean them periodically. You should also ensure that the cushion is in good condition. If it is worn out also, you may fall down. You should immediately replace it if it is worn out. When you are using crutches, you are advised to avoid walking when the floor is slippery or wet. You should be more careful on curbs also. The main types are auxiliary crutches and forearm crutches. Auxiliary types are those that are used under the armpits. If you need to use crutches for a longer duration, the doctor may advise you to use forearm crutches, in which there will be clips around your forearms. Crutches should be a little away from you on the sides so that you have sufficient room for your body to pass through. Another point is that they should not press against your armpits because there is a nerve that passes under the arms and it may get damaged. You should also ensure that you buy crutches that are an appropriate size. Experts who teach how to use crutches recommend that there should be two to three finger-spaces between the top of the crutches and your armpits. You should hold the hand-grips comfortably, so that is at your hip level. Another convenient measurement is that these hand-grips must be at your wrist level when you hang your hands fully down. If there is an injury, or if you have undergone a surgical procedure in your leg, you may have a necessity for crutches. If so, you need to know how to use crutches. The following few points will help you while using them. The foremost point in knowing how to use crutches is that you should position them properly. Experts advise that when you stand upright, the top of the crutches should be positioned so as to reach 1 to 1.5 inches below the armpits. Furthermore, for using crutches, their hand-grips should be evenly held and positioned so as to coincide with the top of the hip-line. There will be a slight bending of your elbows when you hold the hand-grips, and you need not unduly bother about this. The top of the crutches should be held tightly so that the entire weight of the person is absorbed by your hands. If this is ensured while walking with crutches, their tops will not cause discomfort to you by pressing into the armpits. While attempting to walk, you will naturally lean forward a little so as to put your crutches ahead of you. The preferable distance to which the crutches should be placed ahead is about one foot. 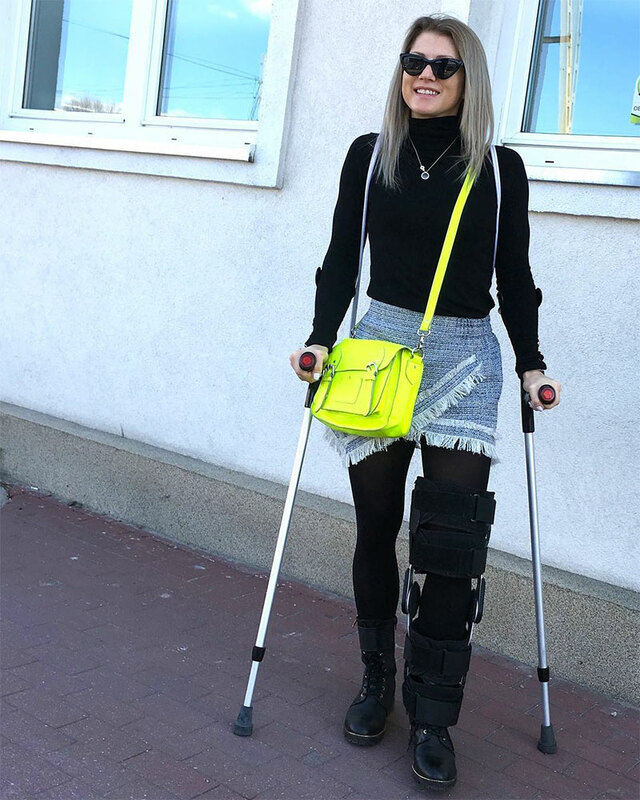 You should begin your walk as if you will be using your injured leg, but the weight should be transferred to the crutches and not to the injured leg. When you move forward like this, it will be as if you are swinging your body forward, which happens between the crutches. Once you move forward to the desired distance, you place your normal leg on the ground and complete the step. When the normal leg is firmly on the ground, you will attempt the next step by moving the crutches ahead again of your body. Thus, you can keep focusing on the direction you intend to move and not on your steps or your feet. When you want to sit, you should choose a strong and sturdy chair. After you go near the chair, you must keep both the crutches in one hand and keep the other hand on the seat of the chair. While doing so, your injured leg should be kept ahead of you. You should not try to sit all of a sudden but should lower yourself slowly into the chair. The crutches should be kept near you by leaning them upside down. If you lean them on their tips, they may fall. While getting up from the chair, you should slowly push yourself towards the front portion of the chair. Since you have ensured that you kept the crutches near you, you can hold them with the hand on the side of your normal leg. If you give a push and try it, you can then stand on your normal leg. Should You Get a Mobility Scooter? Shopping for an Electric or Power Wheelchair? Read This First! Why do I need a second surgery after a broken ankle? What Does Non-Weight Bearing NWB Mean?